My recent Laneige shopping came in yesterday, and I'm happy to say that I'm happy about it! Most of the items aren't "first time" purchases, for me - in fact, they're staple in my everyday skincare routine. Laneige is one of my absolute favourite Korean brands - I trust them everyday with my skin, and they've yet to fail me! 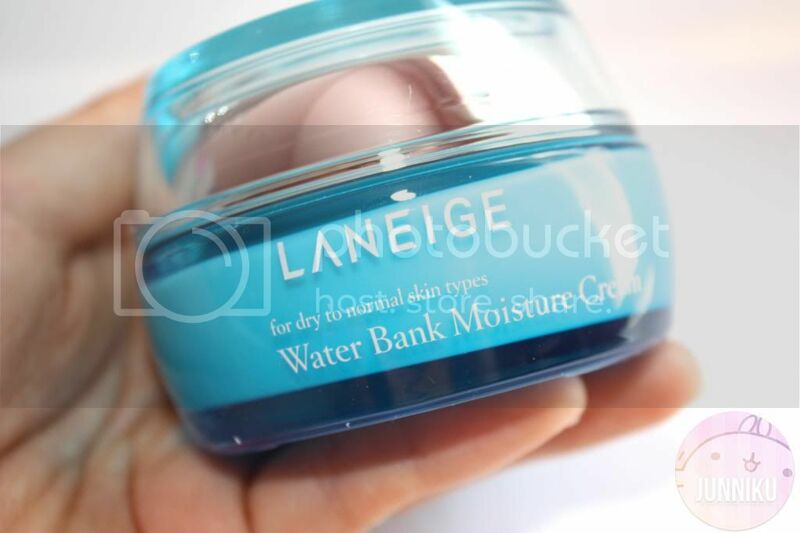 When my skin is at its worst (ahem, when I burned off my face with Differin 0.3%...), Laneige's "Water Sleeping Pack_EX" was the only thing that helped. Here's a list of the things I bought, along with a quickie review on the product's I've used before! 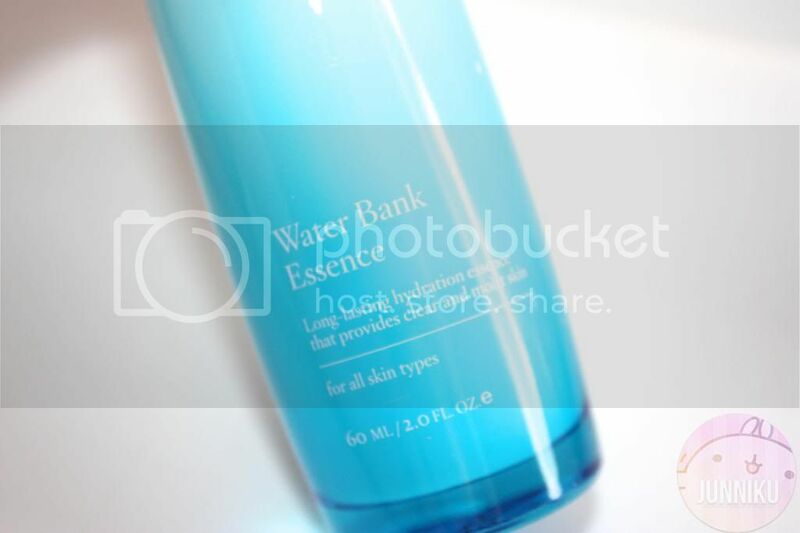 I haven't tried out the Water Bank essence, but I'd definitely love to use this asap. 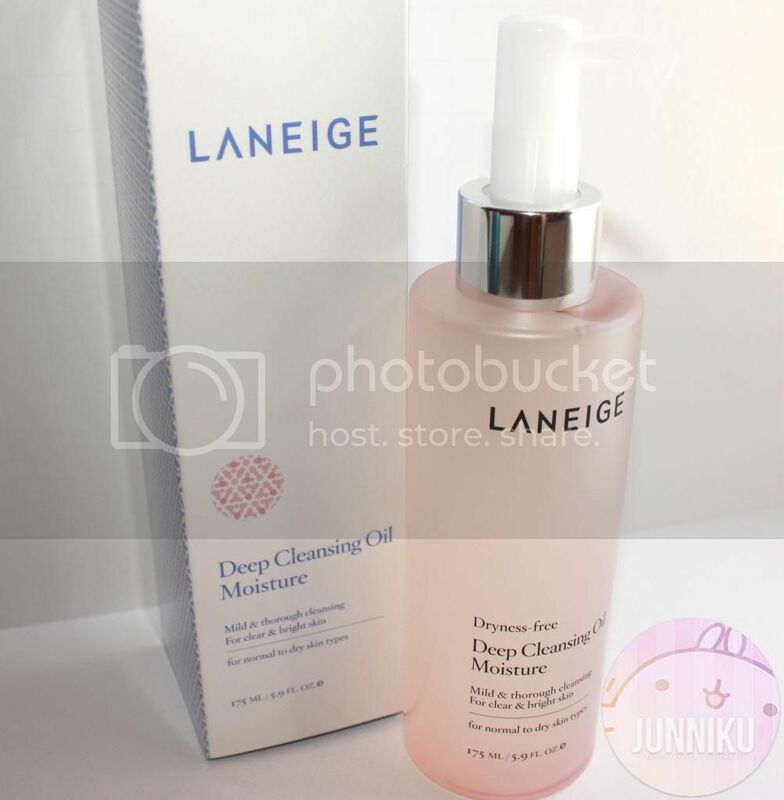 I saw it on Laneige's website a few days ago, and they recommended using this as a part of your nighttime skincare routine, right before you sleep. By the way - how pretty is the packaging?! I love the blueness! Again, part of my daily skincare routine. I use these two in the morning - yogurt gel first, then the foam cleanser. The yogurt peeling gel is really, really gentle. You can barely feel the little beads in there! The foam cleanser really brightens up my skin and my pores feel so squeaky clean after using it, ahaha. I have no idea what to expect from this one - I'm pretty happy with my current makeup removing routine (Sephora oil based remover, and Laneige multi cleanser). The Sephora remover is cheap and really gets rid of all my makeup, but it takes absolutely forever trying to get the oily film off your face. This one is pretty pricey compared to the Sephora one, but I'm open to try new stuff. Maybe this'll be amazing, and squish itself into my staple routine! That's it for my haul! Please do a review about Laneige Multiberry Yogurt Peeling Gel! Oh really? I don't like shimmery BB creams D: I like mines matte and dewy. Thanks for telling me! It's honestly so, so good! n__n I'm crazy about the water sleeping pack - I have way too many samples and full sizes to finish up... I'm quite freakishly obsessed. .___. Ahhh, Lioele cannot compare to Laneige imo! D: Their V-drop water sleeping packs is almostttt like Laneige, but Laneige's one will always be #1 in my book muwahahah. Your blog is really nice, I followed! Where do you get your Laneige products by the way? They seem really nice! The bottles are really pretty too (I don`t know, I like my products to have cute containers haha). I`m super interested in trying some. I would highly recommend Laneige's Water sleeping pack_ex. 100%! Heeeeelllo! Thanks for checking out my blog, heh. I read some of your posts, and you have quite interesting stories ... LOOOOOOOOL (Wanna be my woman) LOOL. Btw , do you live in Ontario? I heard you mention pmall! I do live in Ontario, yes! (Toronto) LOVE pmall, but it's so expensive sometimes! Thank you for your comment and your well wishes! 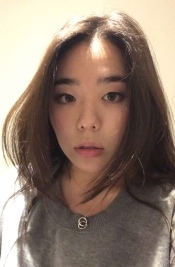 I've never tried Laneige. It's a little out of my budget, I think. I'm a cheap-skate. xD Still, you're making me lust for it. Wow, that's a whole lot of haul..
Is Laneige safe for acne prone and combination skin? Awesome haul! Laniege packaging looks super luxe - I've only tried a small jar of the sleeping pack, but I really liked it! so many skins products, lol. how much it all? sorry i just wanna know. Wow~~!!! What an awesome haul!! I never tried anything from Laneige, but thanks to you now I feel the need to at least try something! Eepp such a glorious haul! I've recently purchased the sleep pack and loved it! I'm in need of a cleasing oil and I may try the Laneige one. After reading your blog post, I'm gonna research on the Sephora one! Yay!! Great haul! 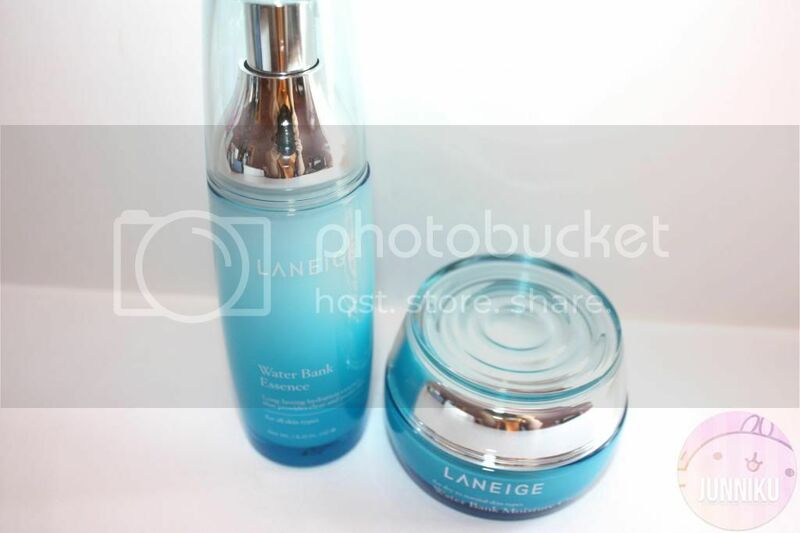 I looooove Laneige's products and I've been using their products almost religiously ever since I tried the Water Sleeping pack. I really like their peeling gel too, but I wish it wasn't so pricey! Hi June, thanks for dropping by my blog! Whoa, you bought a lot of products from them! I've never tried their products though. I followed you my dear, please follow me back too ^^ And support each other! 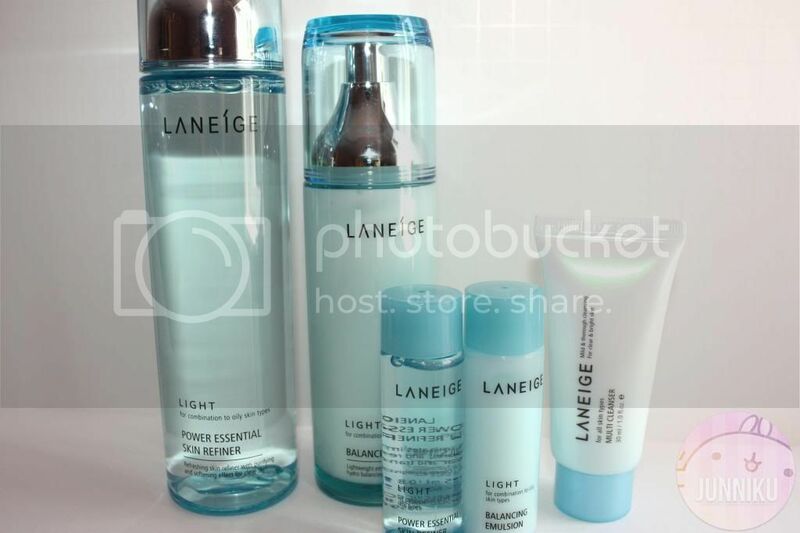 By the way, do you recommend the Laneige Light series for combination skin? I have tried a sample of it and I really like it, but I am not too sure if I should invest in it hehe. Wow you have a huge collection, the products seems to be great! I have never tried this line. I don't have any real facial care products because when I used them they just broke me out. My skin only breaks out on my period and it isn't even a lot. Wooo!! Another Laniege lover like myself!! I also have all the blue bottles and the two pink squeeze bottles (too lazy to type all the individual names :P). I love Laniege and trust it with my life too!! could you please review the balancing emulsion and the essence?? :D I'm really curious about those product, I heard that those product could give moisture without sticky feeling? I tried Dr Jert skin care line and another company but I can't remember, anyway, I fell in love! & I didn't break Out at ALL! What are the ingredients of the oil cleanser?